So... 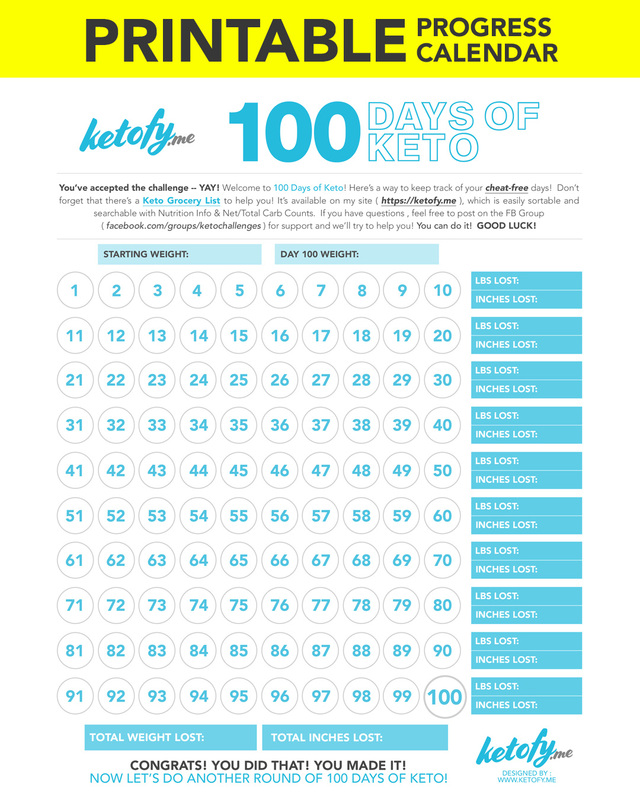 I've decided to go back to the 100-Day of Keto Challenge by Ketofy.me rather than sticking to my own plan for several reasons. 1) I like their check off progress calendar better than mine. 2) I liked posting the progress calendar daily on my Instagram and posting how many net carbs I had that day. I think it kept me much more accountable. 4) I actually stuck to it for over 40 days which is the best progress I've made in many months! 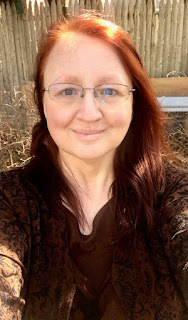 5) I think I made a mistake by deciding to do keto completely cheat free for good. 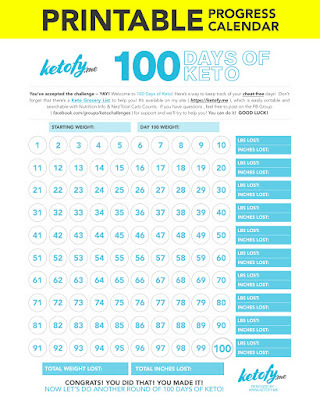 As soon as I make a decision like that my brain starts freaking out and pushing me toward carbs instead of away from them so the plan right now is to do 100 days fully cheat free, take one day off and then start the next 100-day countdown. Honestly, I don't know if this will work but knowing that I'm counting down to a day when I can just relax and eat whatever will help me stay on track better as opposed to saying, "I'm doing this indefinitely" and feeling like I have nothing to look forward too (trust me, it makes sense in my head). I'm officially starting on Thursday but I don't plan on having any cheat days until then so that shouldn't be a problem, and I'll be posting all my official numbers and measurements then!